When I was little my cousin hated chicken, so my Auntie used to tell him every meat was ham, and she disguised it in various dishes. 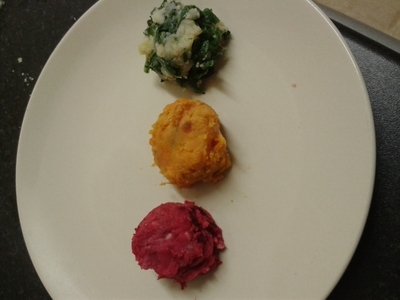 In the same vein, I've created traffic light mashed potato, which is full of vegetables. The kids won't know because they're blindsided by colour. As long as there are clean plates I'm happy. 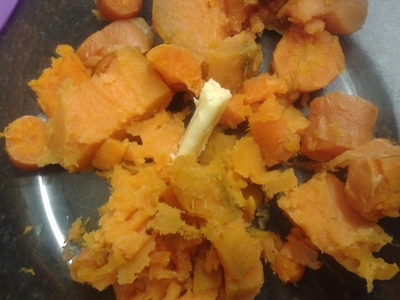 Remove the carrots and chop into bite-size chunks. Boil the cabbage, for 10 minutes in a saucepan of water. 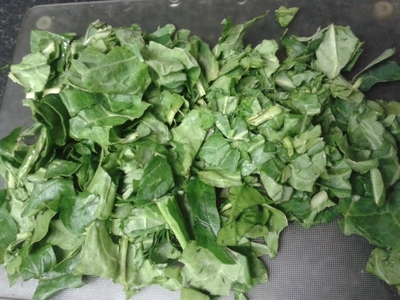 Add the spinach for the last minute of boiling. 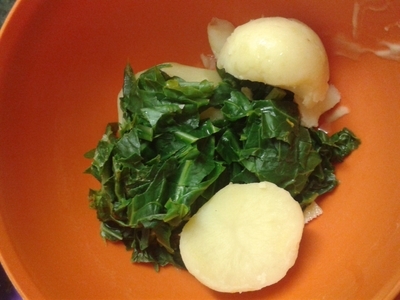 Drain the potatoes and add to a bowl along with the greens, butter and cheese. 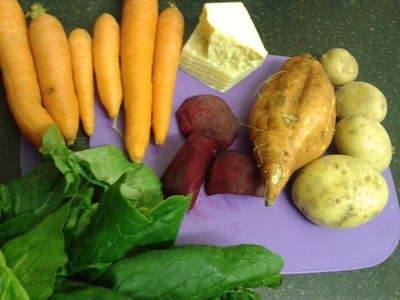 Peel and chop the beetroot and potatoes and place in a saucepan of boiling water for 20 minutes. 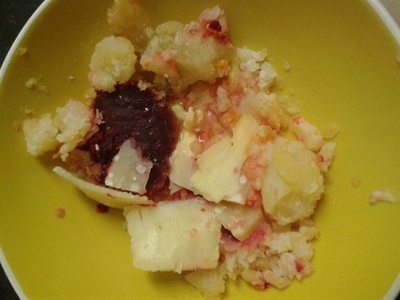 Repeat process with the beetroot, potatoes, cheese and butter. 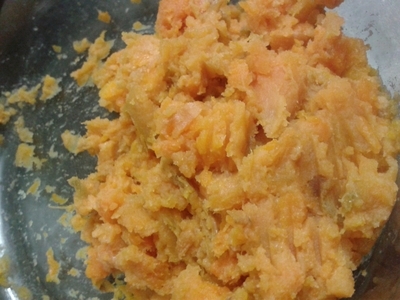 Mash the sweet potato in a bowl using a 'masher' or fork, along with the carrot and knob of butter. 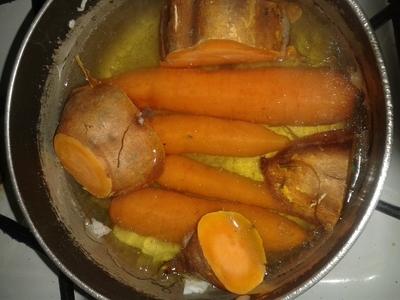 Once mashed the 'amber' traffic light should look appeasing. 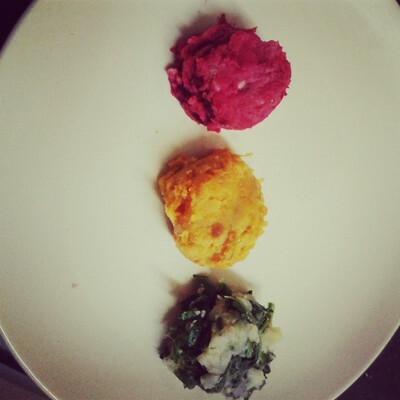 Using a tablespoon create round mounds of each mash, and arrange just like a traffic light on a plate. 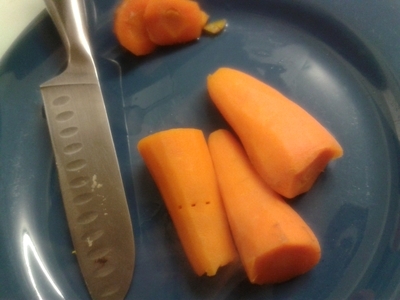 If you're making this for a baby you can forgo the butter, which makes it vegan too. I love this dish as an adult, just as much as my nieces and nephews. This is a really great idea - thank you.